A young and resilient Bengaluru FC side battled hard but were unlucky to go down 1-0 to a full strength Johor Darul Ta’zim team in an AFC Cup Group H game at the Kanteerava, in Bengaluru, on Wednesday. Skipper Safiq Rahim scored with a contentiously awarded second-half freekick to leave the Blues feeling hard done given the way they refused to give anything for most of the game. Hit with a slew of injuries and playing what was their fifth game in 14 days, the Bengaluru FC line-up was always going to be an interesting one. And Ashley Westwood threw in more than just a few surprises in the starting XI, handing defender Ranjan Salam Singh his BFC debut while Bengaluru boy Vishal Kumar got his first minutes on the pitch this season as part of a five-man defence that included Keegan Pereira, Lalchhuanmawia and Chhuantea. Curtis Osano and CK Vineeth, who Westwood said would be doubtful starters, didn’t make the squad as Udanta Singh had Len Doungel for a partner in attack. The reigning AFC Cup champions’ opener came in the 55th minute after Keegan was harshly adjudged to have brought down Mohammed Amirulhadi on the edge of the box even as Bengaluru protests of a dive fell on deaf ears. 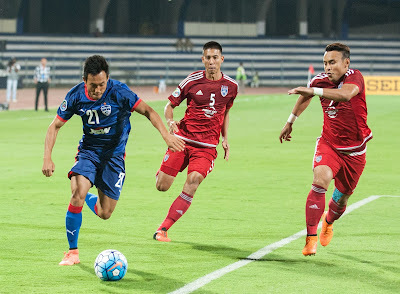 Safiq stepped up and sent his take beyond Lalthuammawia Ralte’s right to finally break Bengaluru’s resistance. Only minutes earlier, the Blues could have had a goal of their own when an unmarked Johnson headed wide from Udanta’s freekick. But Bengaluru’s best chance came in the 85th minute when Udanta’s cross from the right was palmed away by ’keeper Mohammed Izham only to fall to Alwyn George. With Izham on the floor, George beat his marker but inexplicably fired wide from close as the Bengaluru bench threw their arms up in disbelief. 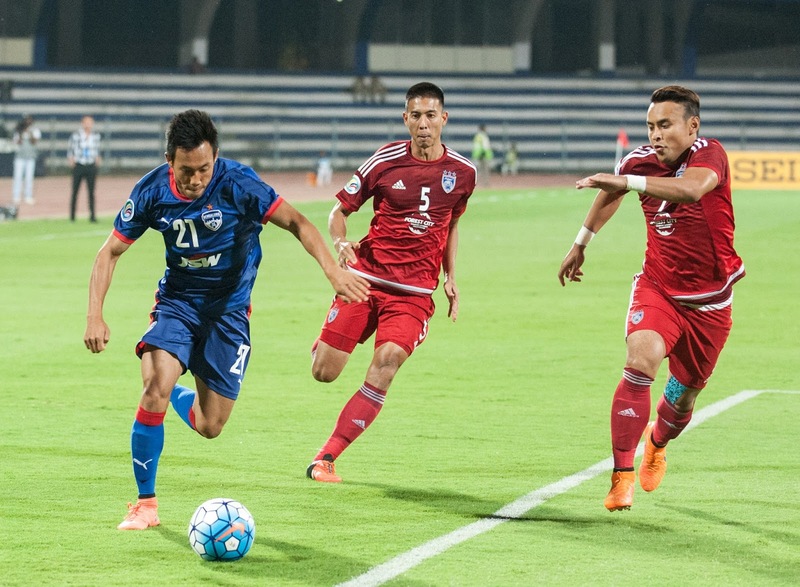 Bengaluru next travel to Myanmar where Westwood’s side take on Ayeyawady on the 16th in what will be a must-win game if the Blues are to keep hope of getting out of the group alive.